Imagine floating over a thumping crowd of thousands and being dazzled by pulsating light displays. Listening to the vibrant beat of electronic music as you touch you down to earth. 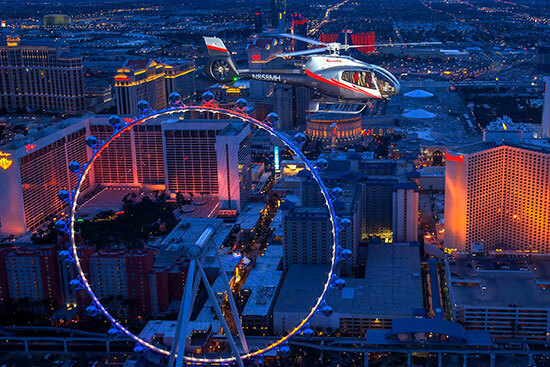 That extravagant experience can be yours only through Las Vegas’ premier helicopter operator: Maverick Helicopters. The Electric Daisy Carnival is a monumental musical festival – perhaps the best in the country! And this year, it celebrates 20 years of captivating the hearts and souls of EDM lovers from around the world. 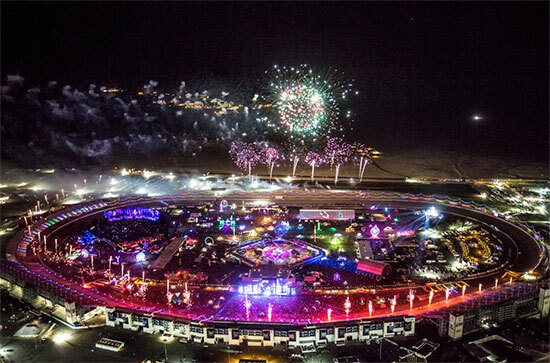 Over 400,000 electronic music enthusiasts are expected to make the journey to the Las Vegas Motor Speedway. This will be one of the largest celebrations Las Vegas has ever seen! Well, you can ride a shuttle bus to and from the Las Vegas Motor Speedway for $15 per trip or $90 for a weekend pass. Good luck with walking to each station. You can also grab a taxi ride or an UBER, but the cost of that will vary dramatically. Or maybe you avoid all that hassle and drive yourself there – only to struggle to find parking. Then, walk for a couple of miles in the desert heat. Maverick Helicopter Service just happens to be the premier heli-service of EDC’s biggest acts. They’ve provided fly-in service for the likes of Tiësto, Hardwell, David Guetta and Skrillex. And there’s a reason for that: the helicopters reserved for this journey are like nothing you’ve ever seen. Each one of the EC130 Eco-Star helicopters has theater style leather seats and wraparound windows for the best view possible. Individual seats are only $500 one-way or $800 round-trip. Or reserve a private charter for up to seven of your friends for $3,000 one-way or $5,000 round-trip. Reservations are limited though. But we can help with that. Call us now!